The Brussel-based Nox String Quartet was founded in September 2014 by Tina Čeh. Members met during their studies at the Royal Conservatory of Brussels. The Quartet’s repertoire is centered on the classics, but with a serious emphasis on the 20th century. It is the stated goal of the quartet to include at least one modern work in each performance. Their repertoire spannes from Early Classicism, Romanticism, to the many contemporary composers including Jazz. Their purpose is to connect, develop and share their musical experience. They are regular guests at the festivals in Belgium and abroad, performing for eminent audience at the embassies, as well enjoying intimate atmosphere of house concerts and being creative while recording in music studios. He’s currently an active member of the following orchestras: Ensemble Sebestyen Strings, since 2012, Brussels Classical Orchestra (Zelig Art Ensemble), since 2013, where he has played as Concermeister. 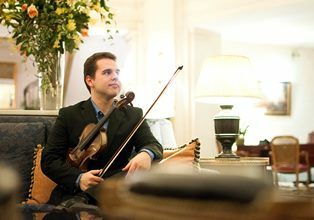 He also worked with the Zelig Ensemble in the world premiere of the opera “Le Songe”, Brussels Philharmonic Orchestra (bpho), since 2014, where he leads the second violins section. – He was accepted in 2015 in the Orkestacademie of the Royal Flemish Philharmonic (deFilharmonie) in Antwerpen. Was born in Slovenia, where she began with her violin education. In 2001 she continued musical studies at the Music Conservatory Maribor in the class of Prof. Franjo Peternel and in 2008 at the Kärntner Musik Konservatorium (Austria) with Prof. Helfried Fister, where she also took lessons of jazz violin with Max Grosch. Parallel she studied in Vienna with Prof. Anna Kandinskaia. She holds a bachelor degree in pedagogic and performing arts with a distinguished grade. 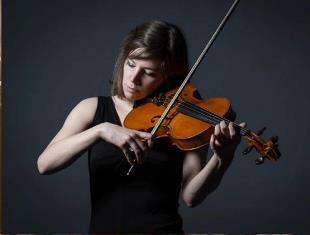 She moved to Brussels in October 2012 where she was undertaking violin master studies in the class of Prof. Marek Zygmunt Kowalski. In June 2015 she obtained with success a master degree in performing arts at the Royal Conservatory of Brussels. She has been a member of numerous international orchestra and guest at music festivals, such as: Festine Orchestra (Slovenia), SFK Symphonie Orchestra in Klagenfurt (Austria), Die junge Preisträger (Swiss), Junge Philharmonie Wien (Austria), Symbolic Orchestra (Slovenia) and Hulencourt Soloists Chamber Orchestra (Belgium). She performed as a soloist with the Kammerakademie (Austria). – Now she is based in Belgium: she performs internationally as a soloist and chamber musician. 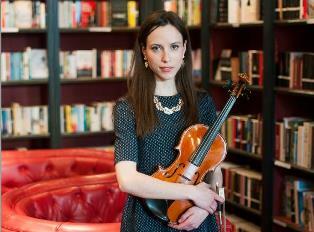 She is co-founder and director of Nox music school and Nox string quartet. Started her music education playing the violin in music school of Zadar, Croatia. 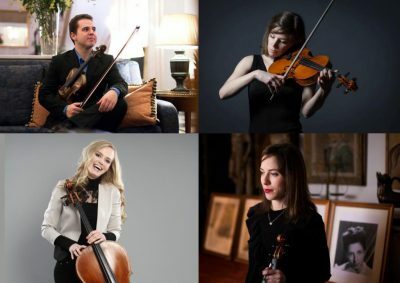 She starts experimenting with the viola at the age of 15 and two years later she enroles in the class of Milan Cunko at the Music Academy of Zagreb. In 2011 she wins Erasmus schoolarship at LUCA school of Arts in Leuven, Belgium. From there her musical education continues at Conservatorium Maastricht, where she obtaines a master degree in the class of Marc Tooten in May 2016. During the years, Amalija participated in masterclasses with Lei Wang, Jorge Alves, Aleksandar Zemtsov and had lessons with Henk Guitard and Michelle Tilkin what helped her to develop and discover new ways of creativity with the sound of her instrument. For last ten years she is a part of Zadar chamber orchestra where she accompanied soloists as Roman Simovic, Monika Leskovar and many more. From a numeros angagements in various orchestras around Europe (Opera Royal de Wallonie, Frascati Symphonic, BOHO players, Zommeropera orchestra, Neue philharmonie Munich…) Amalija gained a big experience as a orchestral player. Currently she is based in Brussels. Finished her Bachelor of Music studies in May 2008 with Paul Uyterlinde and her Second cycle in 2010. During her Second cycle she took, amongst others, classes with Dmitri Ferschtman. In june 2015 she finished her Master of Music with distinction at the Royal Conservatory of Bruxelles with Jeroen Reuling. Suzanne took masterclasses with Marcio Carneiro, Johannes Goritzki, Valter Despalj, Gavriel Lipkind, Li-Wei Qin, Raphael Wallfisch, Daniel Müller-Schott, Gary Hoffman and Colin Carr. In 2006 and 2007 she participated in The International Holland Music Sessions. 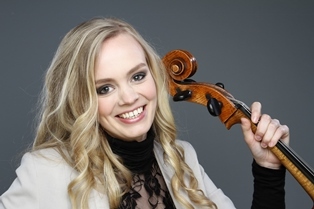 Since an early age she played in symphonic orchestras like the Jeugdorkest Nederland, the National Youth Orchestra and the European Union Youth Orchestra. In 2005 she won the second prize at the Inter Provinciaal Muziek Concours. In 2006 she won the third prize at the Prinses Christina Concours in the category Conservatory in Enschede. Amongst the prizes was a solo performance with the Symfonia Jong Twente. After her debut as a soloist she had the opportunity to perform several other times as a soloist with concertos of Saint-Saëns, Lalo, Gulda, Elgar, Shostakovich and Boccherini Concerto in G major.